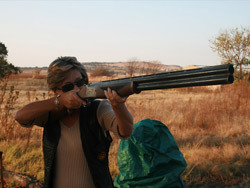 Waterhaven has a membership of +/- 150 people from beginners to the more experienced sporting shooter and is affiliated to the Clay target shooting Association of South Africa (CTSASA). 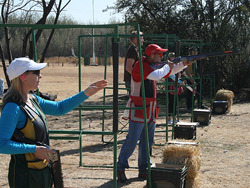 The club boasts a selection of sporting ranges which are situated throughout the estate and vary from week to week to create a sporting variety. The club encourages new people to the sport and assists in coaching and tuition for those wanting to try the sport or improve their skill. The club is open on a Sunday morning from 9:30am. 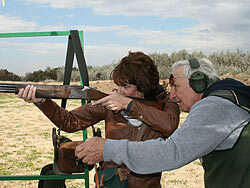 Shooting starts at 10:00am and finishes at 1pm. Contact us for Membership details. David Tweddell can conduct the Private tuition personally whilst on the private & corporate days a number of other experienced instructors are used. 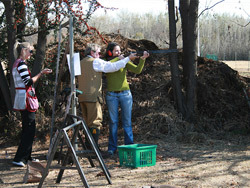 Using modern low recoil cartridges over a wide variety of Sporting Ranges on the estate creates a comfortable experience. 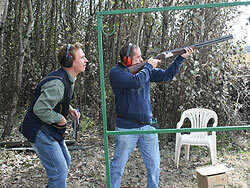 The facility can also create a simulated game bird shoot with the variety of Sporting Clay Targets which are used. 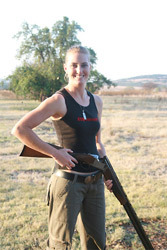 We have a selection of Over & Under Sporting Shotguns on these days together with good quality instruction. 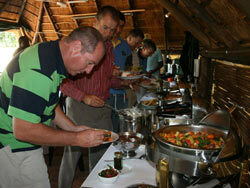 The club has over 75 Male & Female members; however the facility is also available to experienced non members. 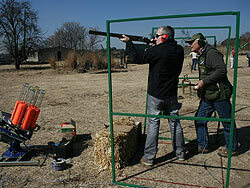 Weekly sporting shoots on a Sunday morning take place with mid week shooting also being available. 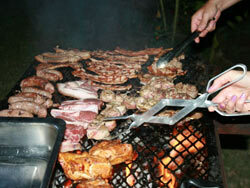 On arrival: Tea/Coffee and freshly baked treats are served i.e muffins, cream scones , biltong bread etc. 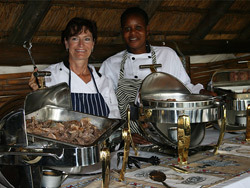 Lunch: Chef's specials for the day!